A controversial dietary supplement made from fruit and vegetable juice concentrate could significantly reduce the duration of colds, according to a study at the Charité – University Medicine Berlin. The study, published in the British Journal of Nutrition, followed 500 employees of the Charité over 8 months. Half the employees took the proprietary US-made Juice Plus+ supplement daily, while the other half took a placebo, in a randomised double-blind study. While both groups suffered the same number of colds, the group taking the supplement suffered milder symptoms, and a decrease of moderate and severe cold symptoms of about 20 percent. 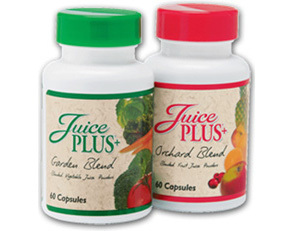 Juice Plus+ is formulated from the powdered juices of “17 different fruits, vegetables and grains” and “enriched with pure β-carotene, ascorbic acid, vitamin E, and folic acid”. Ingredients includ apples, acerola cherries, cranberries, oranges, papaya, peaches, pineapple, tomato, oat bran, beets, broccoli, cabbage, carrots, kale, parsley, spinach and brown rice bran. Previous studies of the supplements’ effectiveness have been mixed, and the company use the controversial multi-level-marketing direct selling strategy, where sellers keep both a portion of their own sales, as well as a portion of the sales of any other sellers they recruit. “The results of the study are certainly encouraging because they show that certain dietary supplements may mitigate the burdens and consequences of the common cold,” said Prof. Stefan Willich, Director of the Institute for Social Medicine, Epidemiology and Health Economics of Charité and head of the study. The exact reason why the supplement reduces cold symptoms is not known, nor is the suitability of the product for prolonged use – issues which Willich suggested could be the subjects of further study. The Charité stated that despite being sponsored by Juice Plus+’s owner, National Safety Associates, to conduct the study, neutrality was ensured by the fact no study data were transmitted to the manufacturer, and NSA were also not involved in the interpretation of the study results. What can we expect from Amazon that would justify $US13.6 billion for Whole Foods?